NIKE AF-100 X KRINK — In Record Time • IRT designs, produces, and fulfills high-quality branded merchandising programs. For this year's Complexcon, Nike wanted to celebrate the limitless capabilities of the Air Force 1. 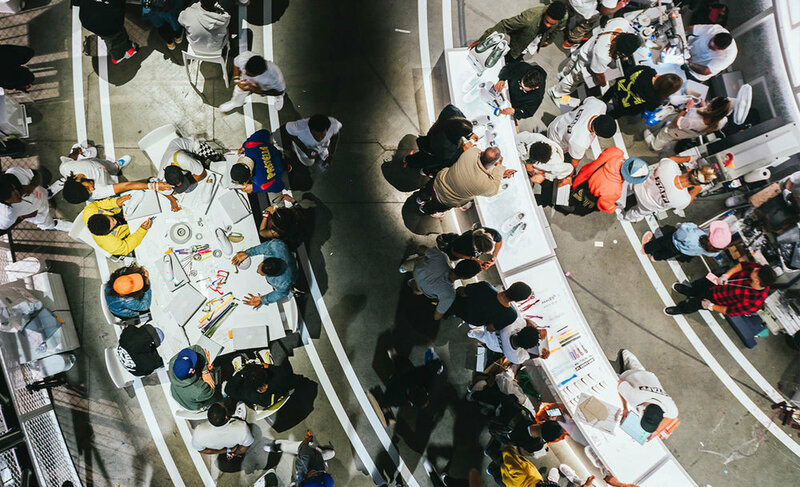 Dubbed the "AF-100 Experience" attendees could fully customize their own pair of Air Force 1's using some premier decoration methods; dye baths, pad printing and more. IRT was charged with the task of finding a complimentary medium that would help convey this DIY message. Through our various production channels we were able to facilitate a collaboration between Nike and KRINK.